Chip it good… – Eat, Drink, and Go! 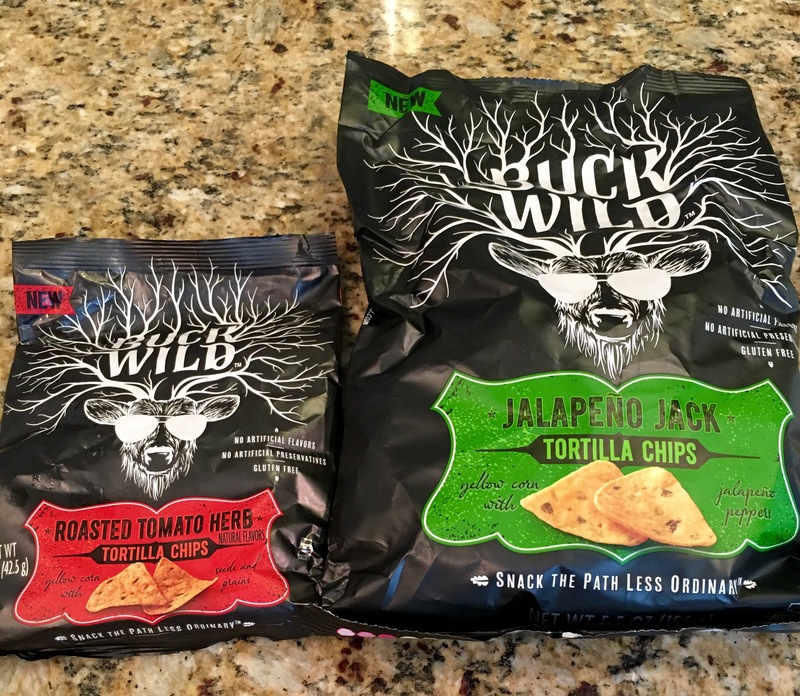 I put two tortilla chips to the test the other night – Jalapeño Jack and Roasted Tomato Herb, both by Buck Wild. I generally like the plainer chip and focus on the dip, but these were lovely vessels for a simple guac. 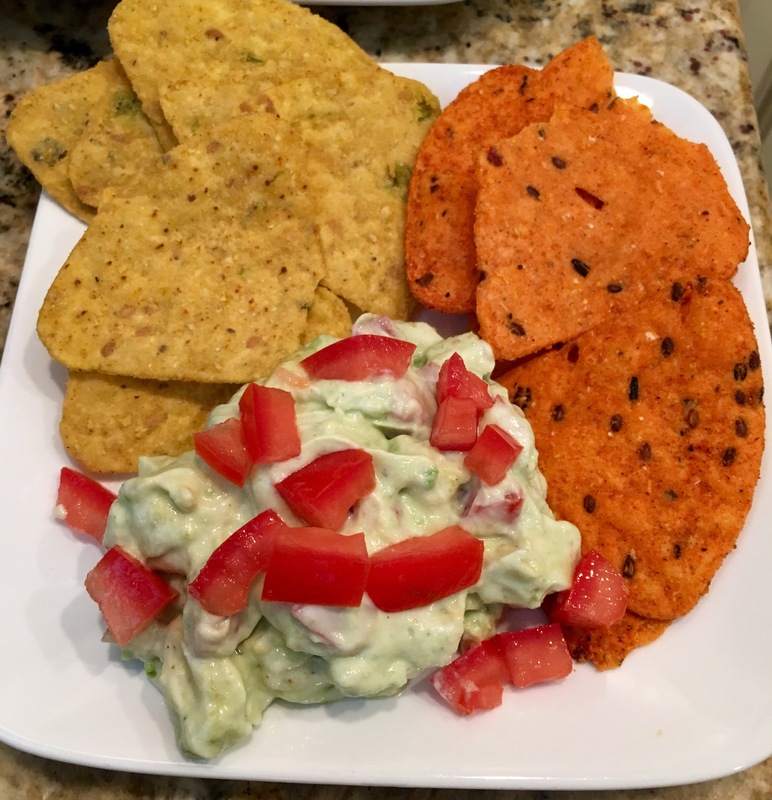 I served them side by side with a homemade guacamole (I use a whole avocado, a couple tablespoons of plain Greek yogurt, some lemon pepper and salt and dice up bit of tomato for extra zing). What was really cool about the Jalapeño Jack chips was that you could actually taste the real Jalapeño. It was just enough spicey to pair perfectly with the cool guacamole. I love guacamole. The Roasted Tomato Herb chips were zesty and full of flavor, but not too salty. Both nice, I’d give my ticket to the Jalapeño ones because of how great they went with the guacamole. Nice flavored tortilla chips, Buck Wild!! My favorite plain tortilla chips are Xochitl. I’ve learned over time that it’s pronounced “so cheel” and it also tells me that on the package. I can’t keep them in the house because I can’t control myself around them. They are so light and crispy and just the perfect amount of salt. Dips are kind of my thing at gatherings. While I make a great, easy guac, all props go to the wonderful avocado. I consider myself the avocado whisperer because I can tell exactly how many days before it’ll be perfectly ripe. This is a talent that I’m still trying to find marketability for. I could stand beside the display and advice shoppers – “this one will be ready on Thursday.” Too creepy? I also do a tasty spinach and artichoke dip that requires no recipe or heavy lifting. Frozen or fresh spinach (about a cup), 2/3 cup of artichoke hearts chopped up, a brick of cream cheese, a bit of milk or cream, any other melty cheese like mozz or cheddar, some salt and pepper to taste, and any other herbs or spices that suit your fancy. You can basically out anything in here. Mix all that up in an oven safe bowl and bake til bubbly!! Mmmm!! Hint: I actually like to mix the day before and refrigerate it, let the flavors hang out, then bake the next day. Totally your call – it works either way. Another trick – if the artichoke hearts are marinated, you can use all that juice/oil as your dip’s flavoring! !